call them, email them with links, they sure need to be responsive to this seriuos issue, I realy hope she is found. Hi, my name is Elias, me and all my freinds from Damascus want to inform you that we are praying for her, Muslims and Christians, we would like to inform you as well that we love all ppl from all around the world and we really wish that Nicole will join the family soon, maybe we can't do alot but we think of you and we're praying for you... Good luck, God be with you. 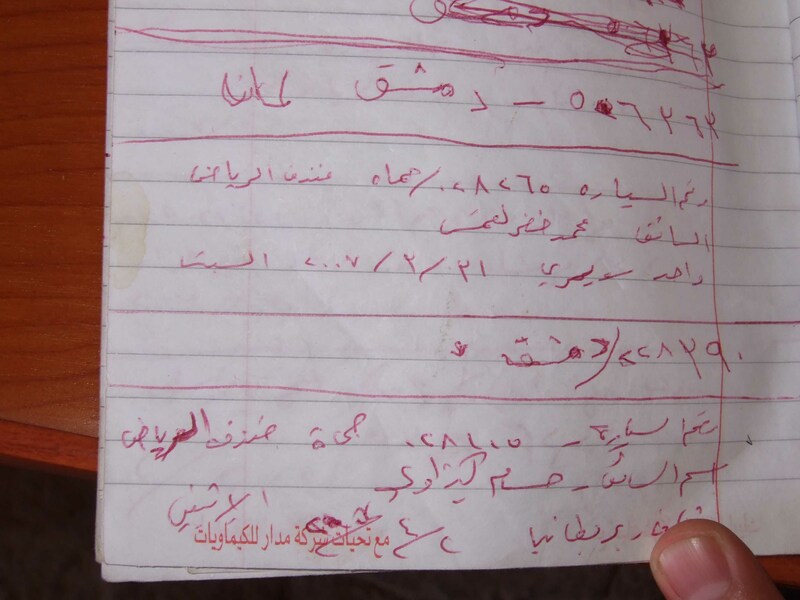 I am a Syrian and reading your journal makes my heart aches. I have two sisters and I love them so much; I understand how you feel. I have had many foreign friends in Syria; they always felt safe and welcomed there. Believe me, it is very unusual for a foreigner to go missing in our country; I'm pretty sure the authorities are taking this issue very seriously and they that will help you. Syria has always been such a safe and friendly destination for tourists and adventurers. 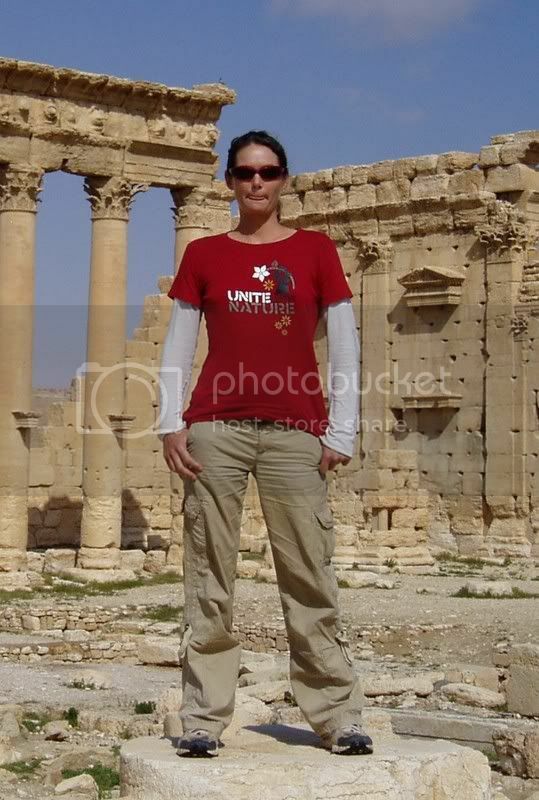 Whenever I saw a lonely female tourist in Syria I had great respect for her; I had great respect for the fact that she chose to come to Syria on her own in spite of all the stereotypes about the Middle East. I pray for her safety and for her return; I will pray for her return every morning. a new website has published the story..
the story is copied from the syria-news site.. but this site also is commonly used by lots of people. hoping that we hear some good news about her soon. Hey Syrian guys , cut the crap and do some real help, call the tv show for missing people, Khabrny ya teer, call Bassam Abedl Mageed,minister of the interior, emotional outbursts are useless here. i have the feeling that she is coming back . Dear Mathew, as a Syrian living and working in Canada I feel so bad about your sister. I have the feeling that she is still alive. Canadians are peacful people and so Syrians. We all pray to keep your sister safe and healthy. Nicole all of our hearts and souls praying for you. God Bless you. hi every one , i am from syria - lattakia .. i heard about this story from www.syria-news.com .. i have some friends from hama .. i will contact them , maybe they can help .. & i am sure that all syrians will help ..
i Hope to Find your sister matt . I was reading every update you do in this site regarding Nicole. A month ago we had 2 Russians get lost in Jordan one been found after 3 hours of intensive search and the other only after 6 days. They been in Hamamat Main walking in the Wadi (canyon) and we had in that day heavy rains in the high lands and the 2 persons didn't realize that they are in danger, within few minutes the flood came and take them away for a long distance from the place they been. This could happened in the Syria as well. Another thing there is forest as I can see from google earth within 16 Km from the place she despaired could be possibility that she get lost in that please as well. Also ask the locals if there are some caves within the area, from my experience with working with tourist they get very attracted to get to these caves and may get stuck in them. I am reading your updates daily and prying to get the good news by finding Nicole. Hello, I felt so sorry when I read about Nicole, I hope she comes out safe and alive. I live in Damascus and I don't think she is kidnapped because we don't have this thing in Syria. I just fear that she might have stumbled and fell in a deserted area, but I really pray she is OK and hope you find her soon. I really wish she is safe , and return to you in the near future. but in that area where did she go there were a great flood and a very bad weather . This was at the end of April according to the article. The location is Palmyra which is not close to Hama. My name is Osama,I live Syria Damascus... I am really sorry for this.. I just want to pray and ask God that she will be okay.